FRIEDRICH III is plain and discreet – presented either with a bright frosted silver dial or with a galvanic black dial in solid silver. The minimalistic appearance of this model is a symbol for the enjoyment of simplicity without having to sacrifice exclusive details. The back slightly convex sapphire glass provides a view at CALIBER VI. The design of the trigonal bridge has a stable rate and is once again an architectural masterpiece but unmistakably a LANG & HEYNE. A simple three-hand watch finished, of course, in finest style. The CALIBER VI continues to have the design of the trigonal bridge which was derived from CALIBER V. With a stable rate and only the important functions of a fine watch included, it is unmistakably a LANG & HEYNE. With our FRIEDRICH III, you can freely choose your hand types, strap color, buckle type and caliber engraving as you wish. 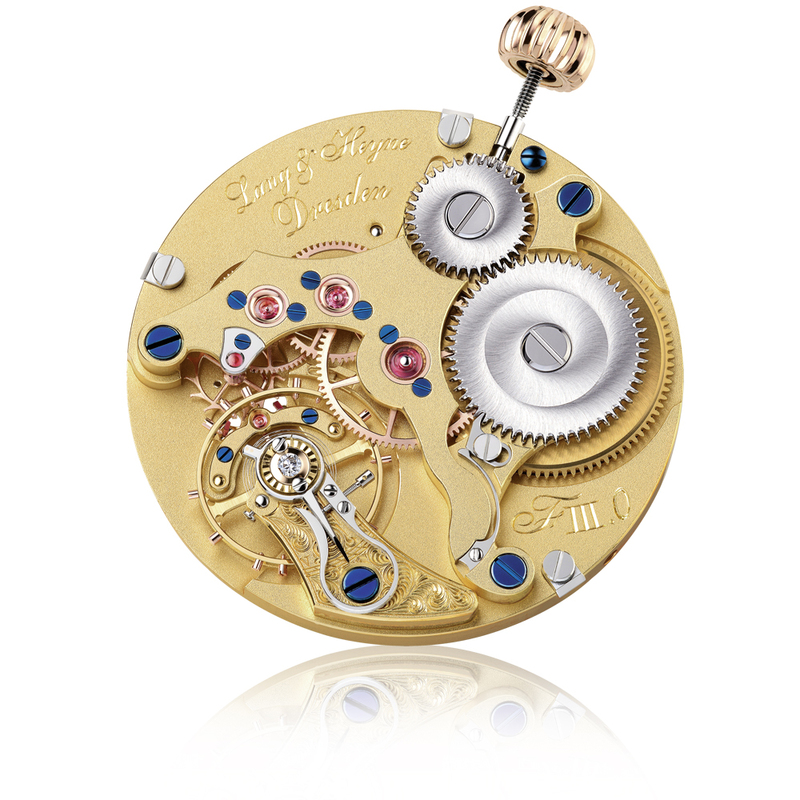 Each watch gets its own number that is engraved on the movement. You will receive an incomparable and unique piece of art.